Weiner's NYC mayoral campaign website shows... Pittsburgh? Former Rep. Anthony Weiner changed his newly unveiled New York mayoral campaign website on Thursday after criticism it displayed the cityscape of Pittsburgh. Later in the afternoon, Weiner's website had been changed to show a cityscape that looked like the Big Apple. Weiner, who resigned from Congress in 2011 following a sexting scandal, threw his hat in New York’s mayoral race Wednesday by announcing his candidacy via a YouTube video. The ex-congressman’s website says it’s “powered by” a company called NGP VAN, which caters specifically to Democratic campaigns and has offices in Boston and Washington. The company did not return ITK's request for comment. UPDATE (3:39 p.m.): One Pittsburgh resident gives a (rather thorough) explanation of the image seen on Weiner's site, saying in an email, "It's the Renaissance Hotel framed through by southern-more tower of the Sixth-Street Bridge; the Gulf, USX, Koppers, Mellon Bank and Keenen buildings are all easily discernible to the left." 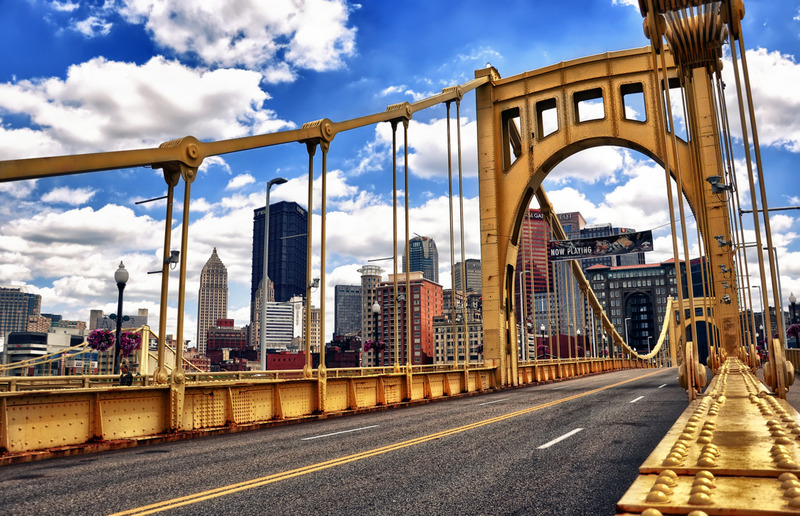 And another Pittsburgh native weighs in by saying, "I am 100% sure that that is Pittsburgh." "This is our fault. NGP VAN acknowledges that the image of the wrong skyline on the placeholder page for the Weiner campaign was our honest mistake, and not that of the Weiner campaign. Our designer got the image from a set of images that included New York City images, but obviously this image was not of New York City, as the Weiner campaign had requested. With the image behind a strong blue background, our team did not catch this mistake. The offending image has been replaced, and the placeholder page now uses a New York City image; as will the full website when it launches." This story was last updated at 5:15 p.m.